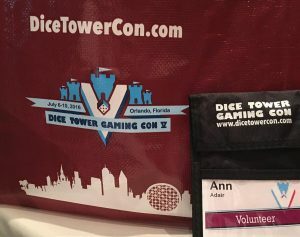 This past week, Thinkamingo made its annual trek to Dice Tower Con in Orlando. What is Dice Tower Con? 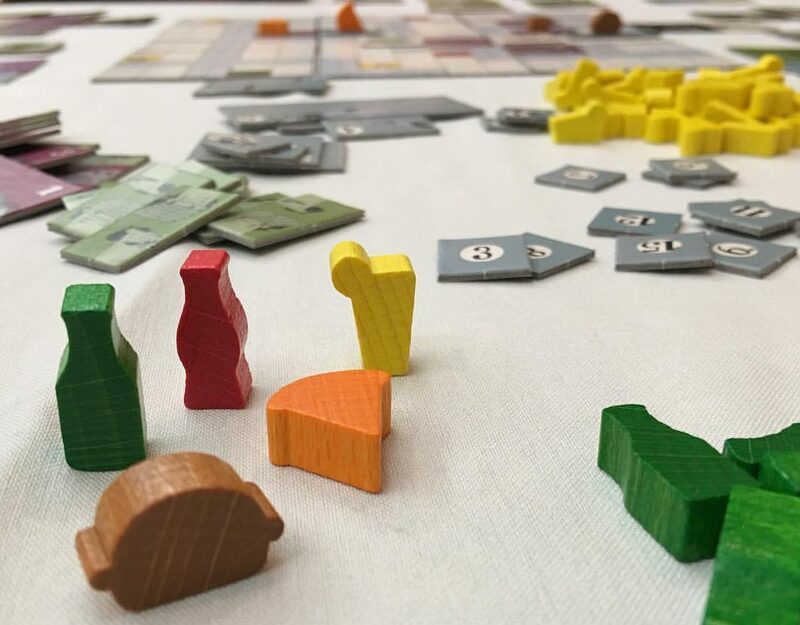 5 solid days of board gaming fun! This year had approximately 1500 attendees with tickets selling out within 15 minutes, 8 months in advance. Next year, it expands to 3000 tickets available. The demand is so high that I anticipate another sellout within 48 hours. This was our third year attending and certainly won’t be the last! Learning new games, meeting people, and reconnecting with old friends is an irresistible combination. In no particular order, I managed to play Food Chain Magnate , Celestia , Shakespeare , Robo Rally , Potion Explosion: The Fifth Ingredient , Isle of Skye: From Chieftain to King , Bruges: The City on the Zwin , Broom Service , Barnyard Roundup, Royals , Codenames , Codenames: Pictures, and Dominion: Adventures . The standouts for me were: Food Chain Magnate, Royals, Shakespeare, and Codenames. Super family fun to be had with Celestia, Broom Service, and Robo Rally! I also volunteered 12 hours this year, so I spent some time meeting new people and giving back to this wonderful community. As a company, some of our business-related tasks we set for ourselves during this con include a lot of research on: popular apps being used by gamers, new games that incorporate technology into game play, card games, Kickstarter games, and games that lend themselves to upgraded components. We get a lot of ideas during DTC that may or may not be realized through an app, new game, or game component/accessory. Overall, it’s a great time of recharging and refreshment through gaming. I highly recommend it for a family vacation! Great hotel rates, next to major attractions, great pool, and games for everyone! Tickets go on sale November 15th, 2016 and it will sell out. Conference dates are July 5-9, 2017. Mark your calendars and we’ll see you there!